Ms. Leimback has over sixteen years of legal experience, beginning in 2003 when she worked in the civil and criminal divisions at a local district court. Shortly thereafter, Ms. Leimback completed her Bachelors of Political Science degree, with distinction, from the University of Michigan – Dearborn, with minors in Criminal Justice and Psychology. From 2004-2007, simultaneously while attending law school, Ms. Leimback continued gaining practical legal experience in a variety of areas of law as a legal assistant and law clerk at a downriver law firm. In 2007, Ms. Leimback earned her Juris Doctor degree from Wayne State University Law School. During her first year of law school, Ms. Leimback received the “Best Appellate Brief” award. Additionally, Ms. Leimback was the recipient of the “Donald E. Barris Trial Competition Award,” due to her first place finish in competitive mock trial competitions. In her final year of law school, Ms. Leimback interned at the Wayne County Prosecutor’s office where she assisted with negotiating plea bargains and conducted preliminary exams. Shortly after being admitted to the Michigan bar in 2007, Ms. Leimback worked as a full time associate attorney for a small law firm in Canton, Michigan. As an associate attorney, Ms. Leimback gained valuable experience working on a variety of cases, including family law matters, probate, criminal defense and estate planning in Wayne, Washtenaw, Oakland and Livingston counties. During this time, Attorney Leimback established a reputation with clients and attorneys alike as an intelligent and dedicated advocate. In 2009, Ms. Leimback desired to take on more of a leadership role and founded her own law practice in Wyandotte, Michigan. Since 2009, Ms. Leimback has been the owner and managing partner of her successful law practice. In April 2012, Ms. Leimback expanded her practice by opening an office in the Plymouth - Canton area. Ms. Leimback is admitted to practice law in the state of Michigan and is a member of the Family Law, Criminal Law and Probate & Estate Planning sections of the Michigan State Bar. She is also a member of the Downriver Bar Association and the Wayne County Family Law Bar Association. Attorney Leimback has represented clients in a variety of areas of law, including criminal defense, drunk driving defense, divorce, custody disputes, child support issues, probate matters, civil litigation, landlord tenant cases, estate planning and small business formations. Ms. Leimback has handled thousands of criminal defense cases in local district courts, as well as prosecuted misdemeanor cases at local district court on a regular basis. She has a solid reputation amongst her colleagues in local circuit courts in her handling of divorce, custody, parenting time and support matters. 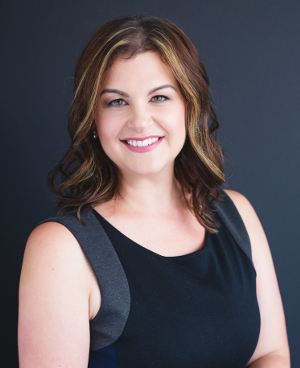 Ms. Leimback now focuses her practice primarily on family law, criminal law and estate planning. Ms. Leimback has extensive district and circuit court experience, representing clients in Michigan courts located in Wayne, Washtenaw, Monroe, Oakland and Livingston counties.